Home News > Gulf Education and Training Exhibition "GETEX 2017"
The first day of the Gulf Education and Training Fair (GETEX 2017) kicked off on Thursday, 13th April 2017, sponsored by the Ministry of Education and organized by International Conferences and Exhibitions. 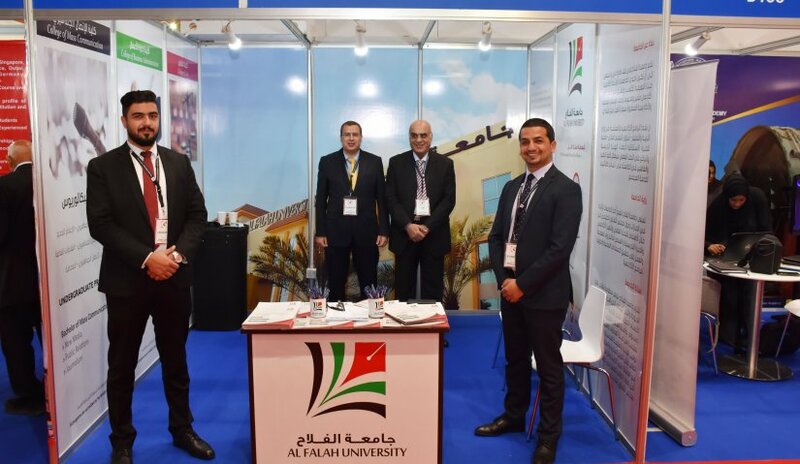 Al Falah University is participating in the three-day event at the Dubai International Convention and Exhibition Center (DICEC) through an introductory booth to connect with students, provide details about the University's educational programs and distribute publications that contain all information a student needs to know. Proposals and ideas related to the desired discipline will also be presented and discussed. The event will continue until 15th April 2017 with the participation of leading academic and educational institutions at the local and international levels, contributing to supporting the educational process in the UAE.